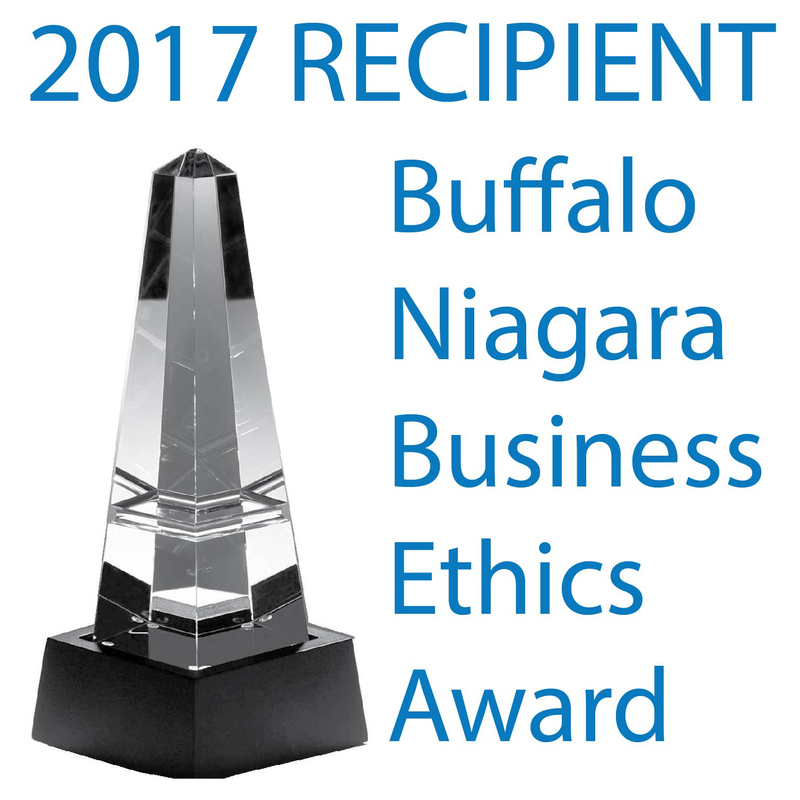 The Aesthetic Associates Centre for Plastic Surgery serves the Buffalo, Amherst, Williamsville, East Aurora and the entire Western New York area, providing Plastic Surgery and Advanced Skin Care. Procedures performed include Breast Augmentation, Liposuction, Tummy Tucks, Facelifts, Eyelifts and Body Contouring to name a few. Non- surgical procedures include Tattoo Removal, Laser Resurfacing, Botox injections, Facial Fillers, Medical Facials, Microdermabrasion, Chemical Peels and Photofacial IPL and Hair removal treatments. "When you come to our office, we are sincerely interested in your overall wellbeing. Our team focuses not only on the way you look, but your overall health and wellness. By incorporating multiple modalities of treatment, we can achieve what I refer to as 'Combination Rejuvenation'. 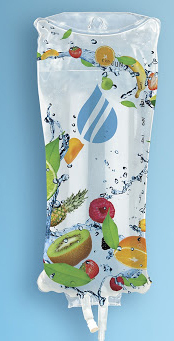 We at the Aesthetic Associates Centre strive to make you look better, be healthier and feel better about yourself" Dr. Samuel Shatkin Jr.
Now Offering IV Nutrition Therapy! Click Here! Dr. Samuel Shatkin Jr. is the co-author of the newly released book S.M.A.R.T. 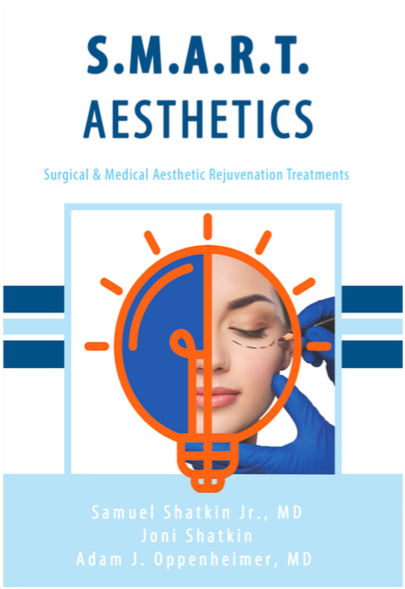 Aesthetics which is a book to help understand Medical Aesthetics. It is available now to purchase at a $5.00 off special! Current patients can purchase at a 50% discount by calling the office and getting a coupon code. Enjoy the book! Dr. Samuel Shatkin Jr. is certified by the American Board of Plastic Surgery and trained in all aspects of facial and body enhancement. His primary focus is on aesthetic plastic surgery, advanced medical skin-care and anti-aging techniques. 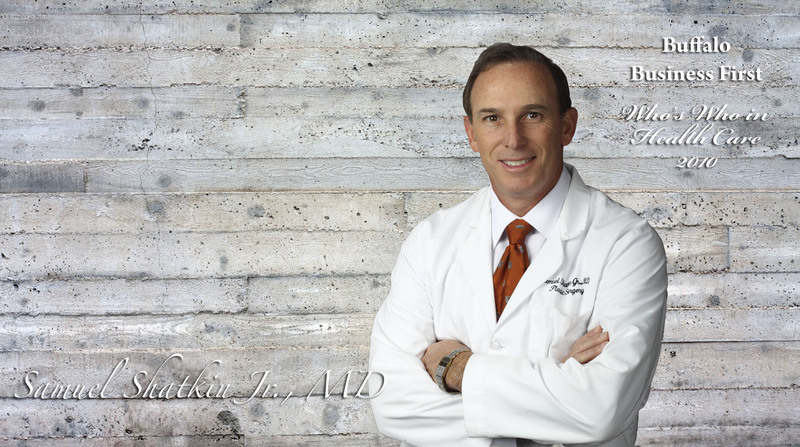 Dr. Shatkin is the recipient of the 2009, 2010, 2013 and 2014 "Top Surgeons in America" Award from the Consumers Research Council and more recently "Who's Who in Healthcare 2012" for Plastic Surgery and Top Doctors in America 2013. His One-Of-A-Kind, Ambulatory Surgery Centre was just listed as one of the Top Ambulatory Surgery Centers in Western New York Ranked by Number of Procedures in 2014. 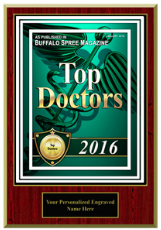 He has received the "Top Doc Award" from Castle-Connolly for 2012,2013,2014,2015,2016, 2017 and 2018. He is the only active practicing Plastic Surgeon in the World bestowed the 5-Star Diamond Award from the American Academy of Hospitality Sciences. Based on the strength of his credentials, patient results, and expertise, Dr. Shatkin has been named a "Top Doctor" on RealSelf.com. In order to be a RealSelf "Top Doctor," a physician must be board-certified, highly rated by his patients, and an active participant in educating patients about aesthetic medicine and plastic surgery. 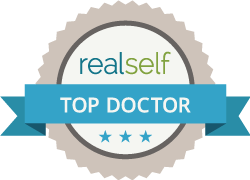 Dr. Shatkin is among only 10% of RealSelf doctors to achieve this honor. Aesthetic Surgery – All aspects of Cosmetic Facial & Nasal Surgery, Body Contouring, and Cosmetic Breast Surgery. Advanced Medical Skin Care - BOTOX® Cosmetic, Dermal Fillers and Lip Injections, Permanent Hair Reduction, Facials, Glycolic Peels, Microdermasion and Acne Treatments, Tattoo Removal. Skin Rejuvenation– Fractionated C02 & Sciton and Palomar Erbium Laser skin resurfacing, IPL PhotoFacials, and Microlaser Peels, Fraxis Duo Skin and Vaginal Rejuvenation. Women's Wellness - Vaginal Rejuvenation Laser treatments. Dr. Shatkin Jr. also performs a full range of surgical and non-surgical cosmetic procedures in the hospital when out-patient office surgery is not indicated. Our desire is to provide you with the finest personalized care, while creating beautiful, natural results that turn your dreams into reality. We would also like to hear from you, so please contact us via telephone or email with any questions, comments, or concerns that you might have. In addition, feel free to contact us if you would like to schedule an appointment and follow us on facebook.